Brighten up gloomy days with a bit of gorgeous bling! If you want your wedding ensemble to look absolutely stunning, shimmer in candlelight, and make you feel lovelier than a princess, then you might be a My Bridal Style Glamorous bride. 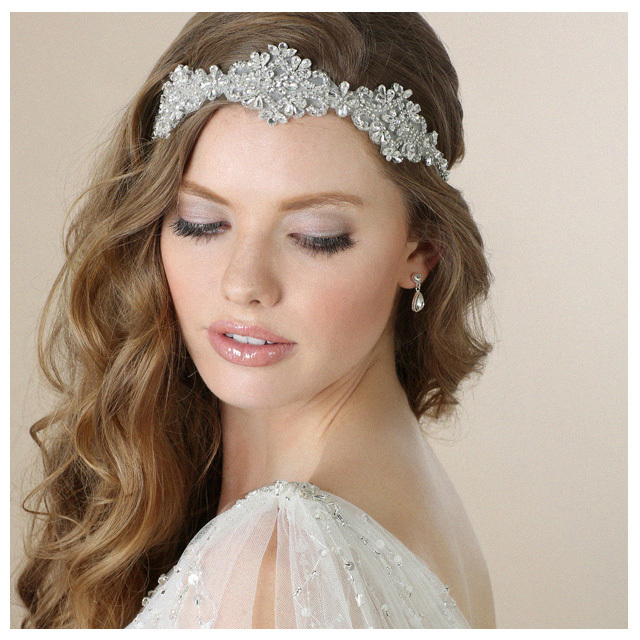 Check out a few of our favorite dazzling headpieces with rhinestone accents and/or exquisite silver beading. Are you ready to sparkle? 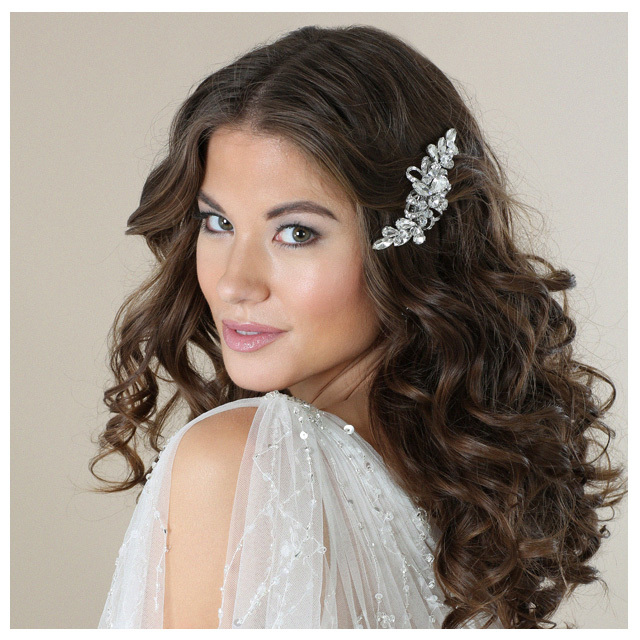 A rhinestone bridal comb is classy and timeless while still adding that bit of sparkle you crave. Style 6557 is a petite, vintage-inspired silver flower clip with round, marquise, and pear-shaped stones amidst clear crystal beads. You’ll feel romantically beautiful and dazzle your groom at the same time! This design is lovely for engagement parties and anniversaries, too. Jazz up your bridal ensemble with an utterly captivating statement piece. The sumptuous silver beading and intricate array of rhinestones on style 6552 create a gorgeous vintage-inspired accent. Stunningly sparkly, this design will have all eyes on you. Wear it as an elegant belt for the wedding, and switch to a fabulous headpiece for your reception! 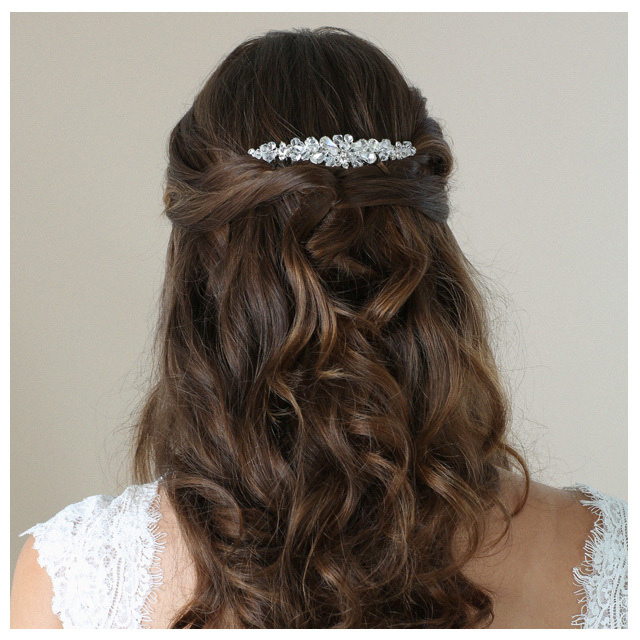 Style your bridal curls with a sweet comb of glittering rhinestones. Curved like a slight crescent moon, 6567 sparkles with an array of pear, round, and oval rhinestones in a timelessly elegant design. Tiny rhinestone flowers and crystal beads add that touch of bridal beauty while making you truly shine. Wear it in the back of an updo, or as a tiny tiara—your choice! 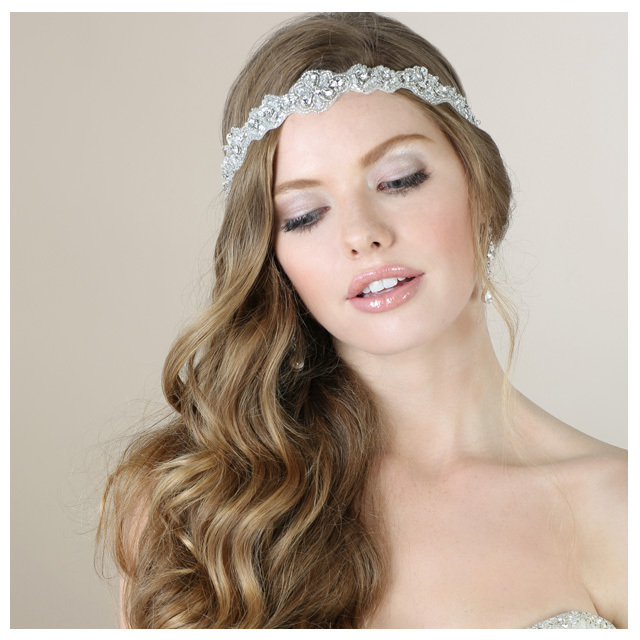 When a little bridal comb just doesn’t add enough sparkle, show off a dramatic headband! Style 6565 loads your hairstyle with instant glamour. Featuring opulent round, pear, and marquise shaped rhinestones in an eye-catching design, this gorgeous band is perfect for a formal wedding. 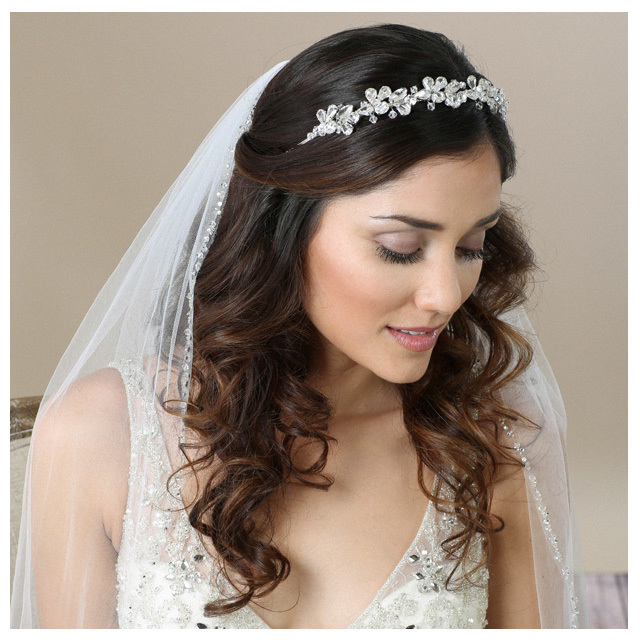 Create a truly special look by pairing a pretty veil and statement jewelry. Love vintage decadence? Enhance a beaded or lace gown with style 6562, a graceful beaded and rhinestone-embellished tie headpiece. Designed to shimmer, this gorgeous design echoes the glamour of style 6552 with a narrower and (slightly) less dramatic design. This vintage-inspired bit of pretty looks great on bridesmaids and is beautiful as a narrow belt! Flowers aren’t just for spring! 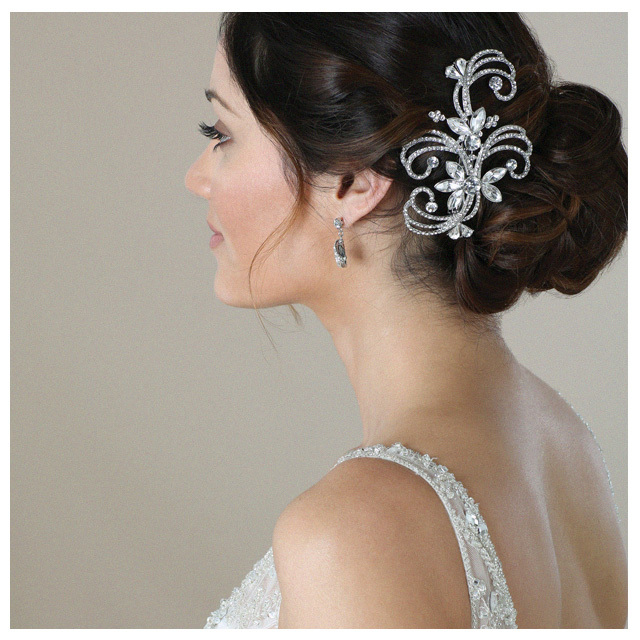 Bling up your autumn or winter wedding look with metallic floral clip 6587. Silver rhinestone swirls add enchanting beauty, while marquise rhinestones catch the light with fabulous appeal that will complement any gown. You’ll love the amazing romance and glamour of this easy-wear design. How are you adding sparkle to your bridal ensemble? Tell us which design is your favorite! Next Next post: We Heart Marsala!